For Performer, Performer RPM and Torker Series Manifolds. 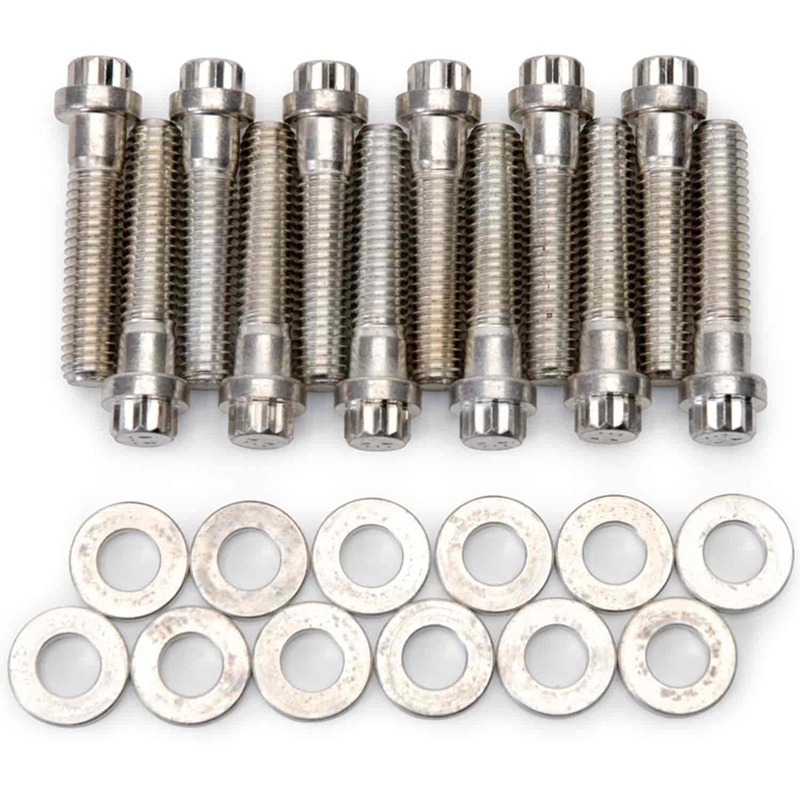 Cadmium finish steel bolt and hardened washer kits that contain all bolts and washers needed for manifold installation. 8579 is rated 5.0 out of 5 by 1. Rated 5 out of 5 by Robtdv69 from 7576 edelbrock intake.. Fit great..2 edel.intake bolts too long n tight..74 charger 360 LA..runs great w/ 1406 carb..very impressed..does create hood Clarence issues..i put on the 10 in edel.air cleaner w/ 2 in filter..very tight but fits..carb straight on intake..no spacer..this intake needed more fuel..I opened up curb idle screws n put the accelerator pump on the bottom hope for more squirt..PERFECT...hope this helps..